In my opinion, the most important tax benefit a pastor gets is the housing allowance. Below, you will find a selection of videos, blog posts, and policies/procedures/forms to help you take full advantage of this fantastic benefit. 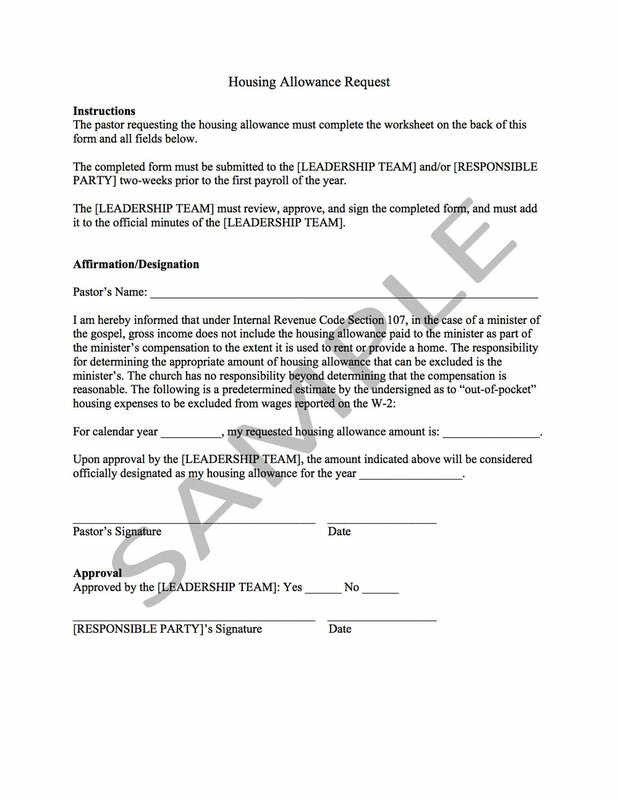 How much can a pastor designate as being housing allowance? In this video, Stacy reaches into the BrokePastor Mailbag to answer a question from a pastor in Georgia who wants to know if he can still receive a housing allowance even though he lives in a parsonage. What types of expenses count as genuine Housing Allowance expenses? Video - Can a pastor who lives in a parsonage still receive a housing allowance? What Would Actually Happen If Pastors Lost Their Housing Allowance? Clergy Housing Allowance Ruled Unconstitutional - What You Need to Know! How can a pastor track housing allowance expenses? What expenses count towards a pastor's housing allowance? To download a free copy of any of the policies, procedures, or forms below, simply enter your name and email address next to the item you wish to download and click submit. Thank you! Click here to download your free copy of the Housing Allowance Request Form.